All matters in the world are made up of elements. And the basic building blocks of elements and compounds are made up of atoms and molecules. The invention of atoms and molecules exist in elements is the first advancement in the world of research regarding nanoparticles. All matter is made of extremely tiny particles called atoms. Atoms are basically indivisible particles, which can neither be created nor be destroyed in a chemical reaction. Atoms of a given element are always identical in mass and chemical properties. Atoms of different elements always have different masses and chemical properties. Atoms combine in the ratio of small whole numbers to form simple compounds. The relative number and kinds of atoms always remain same in a given compound. An atom is known to be the smallest constituent unit of matter that has the properties of a chemical element. It has two parts. One of them is the nucleus which has the main mass of the atom and comprises of neutrons and protons. And around the nucleus, there are stationary orbits on which the electrons revolve. Thomson had proposed the model of an atom which is similar to a Christmas pudding. The electrons were present in a sphere of positive charge which was like currants in a spherical Christmas pudding. An atom comprises a positively charged sphere and have electrons embedded in it. The negative and positive charges are always equal in magnitude. So as a whole the atom is electrically neutral. Although Thomson’s model explained that atoms are electrically neutral, his pudding model was far away from the real structure of atoms. In his famous experiment, fast-moving alpha-particles were incident on a thin gold foil. A gold foil was selected ad he wanted a very thin layer, as much as possible. This gold foil was almost about 1000 atoms thick. Alpha-particles are doubly-charged helium ions. Since they have a mass of 4 u, the fast-moving a-particles have a considerable amount of energy. It was expected that α-particles get deflected by the sub-atomic particles in the gold atoms. Since the α-particles are heavier than the protons, he expected not to see large deflections. Most of the fast-moving α-particles pass straight through the gold foil. Some of the α-particles get deflected by the foil at small angles. Surprisingly one out of every 10000 particles appear to rebound. Most of the space inside the atom is empty because most of the α-particles passed through the gold foil without getting deflected. Very few particles were deflected from their path, indicating that the positive charge of the atom occupies very little space. A very small fraction of α-particles were deflected by 1800, indicating that all the positive charge and mass of the gold atom were concentrated in a very small volume within the atom. 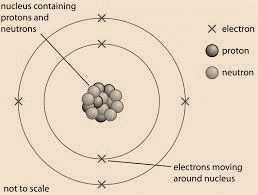 From the data he also calculated that the radius of the nucleus is about 105 times less than the radius of the atom. There is a positively charged centre in an atom called the nucleus. Nearly all the mass of an atom resides in the nucleus. The electrons revolve around the nucleus in circular paths. 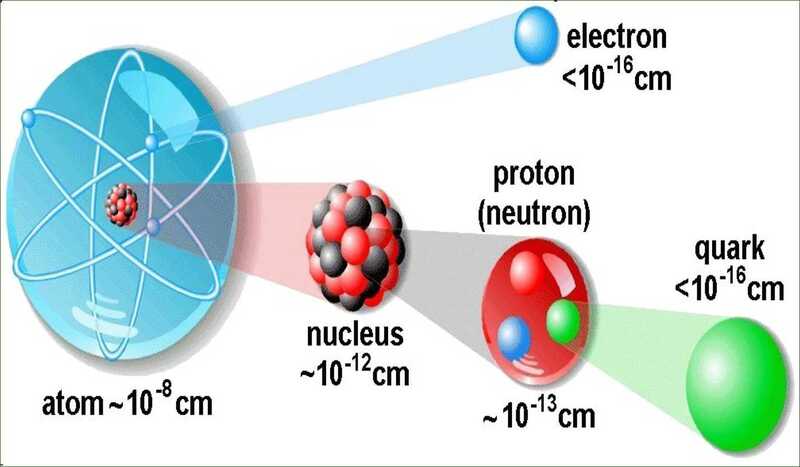 The size of the nucleus is very small as compared to the size of the atom. It is the number of protons of an atom, which determines its atomic number. It is denoted by ‘Z’. All atoms of an element have the same atomic number, Z. In fact, elements are defined by the number of protons which it is made up of. These protons and are present in the nucleus of an atom. Hence protons and neutrons are also called nucleons. Therefore, the mass of an atom resides in its nucleus. 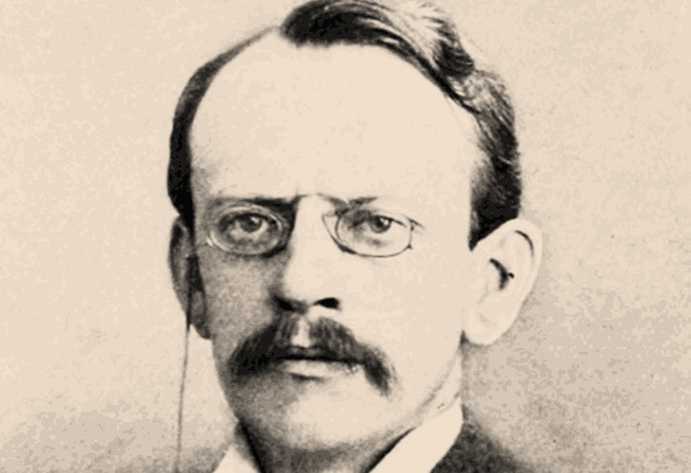 Rutherford’s alpha-particle scattering experiment led to the discovery of the atomic nucleus. Rutherford’s model of the atom proposed that a very tiny nucleus is present inside the atom and electrons revolve around this nucleus. The stability of the atom could not be explained by this model. Neil’s Bohr’s model of the atom was more successful. 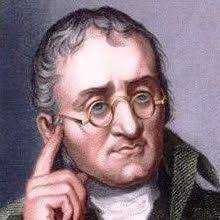 He proposed that electrons are distributed in different shells with discrete energy around the nucleus. If the atomic shells are complete, then the atom will be stable and less reactive. 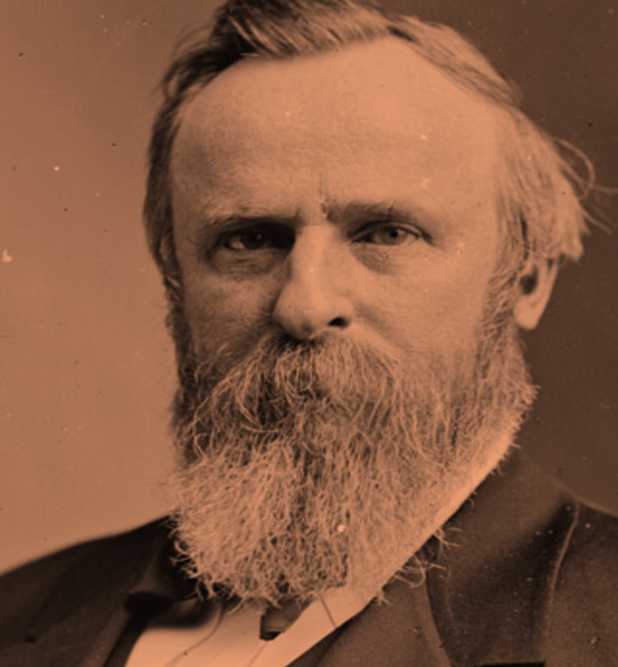 J. Chadwick discovered the presence of neutrons in the nucleus of an atom. So, the three sub-atomic particles of an atom are (i) electrons, (ii) protons and (iii) neutrons. Electrons are negatively charged, protons are positively charged and neutrons have no charges. The mass of an electron is about 1/2000 times the mass of a hydrogen atom. The mass of a proton and a neutron is taken as one unit each. Shells of an atom are designated as K, L, M, N, etc. Valency is the combining capacity of an atom. The atomic number of an element is the same as the number of protons in the nucleus of its atom. The mass number of an atom is equal to the number of nucleons in its nucleus. Isotopes are atoms of the same element, which have different mass numbers. Isobars are atoms having the same mass number but different atomic numbers. Elements are defined by the number of protons. What is the correct configuration of sodium ion? In noble gas configuration, the outermost shell has ________________ electrons. Which of them is the configuration of helium? Which metal was used by Rutherford in his alpha-scattering experiment? What is the most common oxidation number for silicon in a compound? Which of the following is the correct electronic configuration of Nickel with an atomic number 28? Which of the following has maximum number of molecules? What does alpha particle consist of?